Greg Vail is a Saxophonist living in Southern California, playing a variety of music styles that include Jazz Saxophone, Smooth Jazz, Gospel Jazz, Pop, Rock, R&B, Contemporary Christian, Instrumental Pop and Christmas Music Genres. Greg Vail has toured and recorded with some of the hottest names in the jazz, pop, and Christian music scenes including Rick Braun, Peter White, Greg Adams, Josh Groban, Petra, Crystal Lewis, Natalie Cole, Al Jarreau, Michael McDonald, Earth Wind and Fire, and Smokey Robinson. Greg Vail has toured and recorded with some of the hottest names in the jazz, pop, and Christian music scenes including Rick Braun, Peter White, Greg Adams, Josh Groban, Petra, Crystal Lewis, Natalie Cole, Al Jarreau, Michael McDonald, Earth Wind and Fire, and Smokey Robinson. Over the last 30 years, Vail has also made appearances for everything from television and cable, BET Jazz, History, Fox News, TBN, to the national commercial for TimeLife Records promoting the renowned Sax by Candlelight and Sax by Moonlight CDs which sold in the millions worldwide. 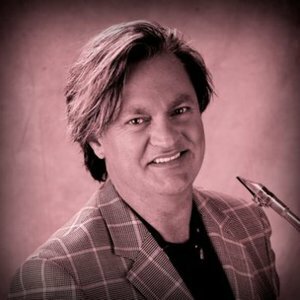 Vail first picked up the saxophone at the age of six and continued to play throughout his education, graduating in 1984 with a Bachelor's Degree in Music from Cal State Long Beach. After graduation, he worked with many local area bands until joining smooth jazz super group, Kilauea, in 1991. Vail recorded four albums with Kilauea before joining up with smooth jazz guitar sensation Peter White. In 1995, Greg Vail released his debut solo record, eMotion on Brainchild Records. In 1996, when he left Kilauea, he recorded Sax by Candlelight for TimeLife. In 2000, Vail began his own record label, Greg Vail Music, and currently has six solo releases on the label including Christmas, the Hymns 2000, The Gospel Truth 2001, the re-release of eMotion 2002, Is It Christmas Yet? 2004, The Gospel Truth Revisited 2006 and his latest recording - Smooth Jazz Classics. Scheduled for release in 2008, Smooth Jazz Classics on Greg Vail Music. Smooth Jazz Classics is a 13 track collection of favorite, classic instrumentals, including Klemmer's Touch, Grover's Make Me a Memory, Affirmation, Feels So Good, Biggest Part of Me and more. Utilizing some of the hottest names in jazz, Vail and co-producer Tony Guerrero developed a fresh approach to these smooth standards, maintaining the heart of the originals while employing exciting arrangements and orchestration to deliver classic smooth favorites with a personal touch. The band was comprised of Tony Guerrero Keys and Brass, Gannin Arnold Guitar, and Melvin Davis Bass. Special guests on this CD include David Pack, Grant Geissman, Blake Aaron, Rob Whitlock, Steve Di Stanislao, Julio Figueroa, Wayne Bergeron, Keith Smith, Les Benedict and Shannon Kennedy. In addition to his reputation as an artist/performer, Greg Vail has made a name for himself as on educator in the Internet world with dozens of educational music sites online and ongoing contributions to Forums, Blogs and News Groups. In his own words, ?We have to learn all we can, and then give it away to ever really make a difference.? Saxophonist Greg Vail has been a vital participant in the music industry over the last few decades and will continue to grow to be one of the most prolific musicians on the instrumental jazz scene. In the words of the national jazz author, Jonathan Widran, ?Whether [he is] blowing a tenderly passionate soprano sax, firing up his exciting and playful alto, or edging into a more aggressive stance with his brilliant technique on tenor sax, Greg Vail is a show stopper nonpareil, and one of the most dynamic saxophone players on today's instrumental scene. ?